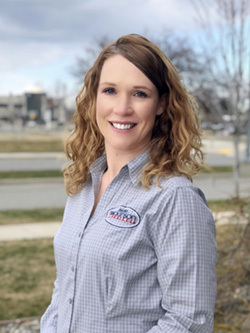 Born and raised in Idaho, Kelsey graduated from the University of Idaho with a marketing degree. She has been married for over 15 years and is the mother to two very busy boys: Mason (11) and Easton (5). She calls them her “sweet and spice”! She loves watching them grow and supporting them in the things they love. As an Idaho native, she has always loved gardening, snow skiing, hunting and fishing. Kelsey joined the insurance industry after college and has never looked back. She knows how confusing insurance can be, especially when dealing with health insurance and Medicare. She loves building relationships with her clients that will last a lifetime, even as their insurance needs change. Kelsey’s Claim to Fame: She once ate 13 pieces of pizza, and can fit 23 grapes in her mouth!